We are one of the reliable Manufacturers, Suppliers, and Exporters of Mortise Chisel Set. Mortise Chisels are made of stainless steel metals for superior durability and sturdiness. Perfectly aligned, mortise chisels ensures efficient wood as well as stone work. Our valued customers can avail Mortise Chisel Set in different specifications. Max Depth of Cut Chain Mortiser: 140 mm / 5"
Max Height of Workpiece on Table: 254 mm / 10"
Table Size: 455x150 mm/ 18x6"
Size of Dust Collection Port-Diameter: 100 mm / 4"
Max Height of Door or Frame: 1000 mm / 39"
Max Depth of Cut Chisel Mortiser: 90 mm / 3"
Vertical stroke: 150 mm approx. Vertical stroke (Adjustable): 130 mm approx. Table size: 200 x 165 / 8" x 6½"
Max. depth of cut: 90 / 3½"
With having years of experience in this domain, we are trading a wide range of Chisel Mortiser. 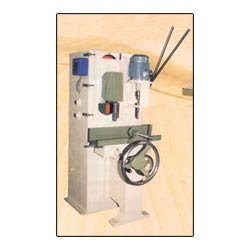 Being one of the reputed organizations in the market, we are engaged in providing an exclusive range of Chain And Chisel Mortising Machine. 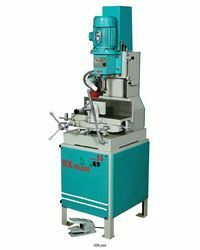 We are among the leading manufacturers, suppliers, and exporters of Chain And Chisel Mortising Machine that are meant for our respected clients. Our product range is checked on varied parameters for its effective performance. Table Size: 455 x 150 / 18" x 6"
Max. height of workpiece on table: 254 / 10"
Backed by rich industry experiences; we are highly engaged in offering a premium quality range of Vertical Chisel Mortiser. With the help of our skillful professionals, we are engaged in manufacturing and supplying a wide gamut of Chisel Mortiser. - Suitable for different industry applications.